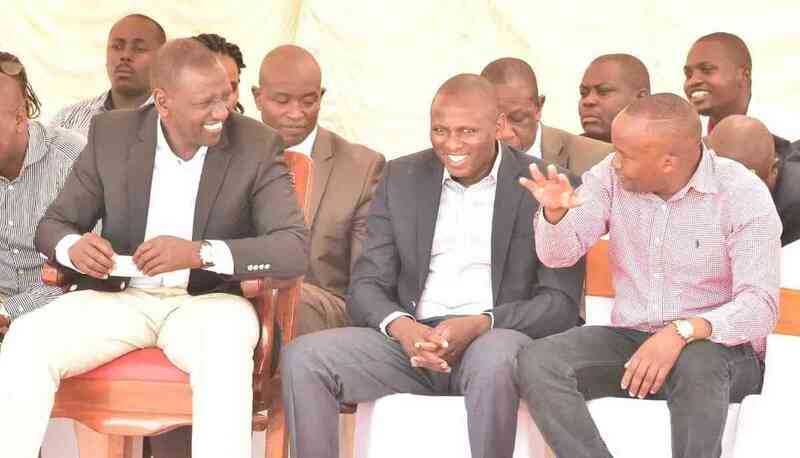 It has emerged the security purge against Deputy President William Ruto's close political allies could be targeting more Jubilee leaders perceived to be members of the Tanga Tanga squad. So far at least four members of the Ruto-led Jubilee party's faction which persistently defied President Uhuru Kenyatta's directives, including the president's plea for leaders to shelve 2022 politics, have had their bodyguards redeployed. A report by the Standard revealed some 20 Jubilee leaders could be in the line of fire for repeatedly contradicting the president's position on the 2022 succession politics, war on graft and the Building Bridges Initiative (BBI), otherwise best known as the handshake. According to the report published on Monday, April 15, the withdrawal of security of Kiambu governor Ferdinand Waititu, Nakuru senator Susan Kihika, MPs Kimani Ichung'wa (Kikuyu) and Kimani Ngunjiri (Bahati), was only the beginning of the crackdown on Ruto's political allies. The crackdown is also reportedly targeting Jubilee party leaders holding plum leadership positions in the National Assembly and who are seen to be continuously working against and frustrating the president's development and unity agenda. Political pundits argue the crackdown on the DP's close political allies could further widen the rift in the ruling party and cause tension between Uhuru and Ruto who currently appear to be reading from different scripts on a number of issues. For instance, besides the ongoing 2022 politics, Ruto and his allies in the now embattled team Tanga Tanga squad are seen to be fighting agencies charged with the responsibility of fighting graft. The Tanga Tanga politicians led by Ruto are on record castigating the Director of Public Prosecutions (DPP), Noordin Haji, and the Directorate of Criminal Investigations (DCI) boss, George Kinoti, over the ongoing anti-graft war. They on different occasions accused Kinoti and Haji of targeting individuals and communities and spreading lies and propaganda in the name of fighting corruption. Speaking in Mombasa county on March 9, 2019, Ruto warned the investigative agencies against what he termed as political witch-hunt and targeting of individuals in the ongoing anti-graft war. "We must leave out propaganda and falsehood in fight against corruption. Repeating a lie will not make it the truth," Ruto said in response to a statement issued earlier by the DPP regarding the ongoing probe into the multi-billion Arror and Kimwarer dams scandal. The DP is also understood to be opposed to the March 2018 handshake which was signed between Uhuru and Opposition leader Raila Odinga. Addressing residents of Majaoni in Kisauni on September 30, 2018, a politically charged Ruto told the former prime minister to desist from causing confusion in the Jubilee Party using handshake. “We know what the handshake deal entails because we initiated it before President Uhuru Kenyatta entered into a deal with you (Raila). We are very clear on what it is not. Therefore, do not bring confusion,” Ruto said. On the other hand, Uhuru, and his allies in the team Kitaeleweka faction of the Jubilee party are seen to be keen on implementation of the Big Four agenda; implementation of the BBI (handshake), and intensifying war on corruption. In fact, when delivering his State of the Nation Address on April 4, 2019, the president categorically stated there will be no turning back on the handshake, the war on corruption and the Big Four agenda.